Whether it's an intimate dinner for two, a night out with friends, a group occasion in our private group dining room, or partying well into the wee small hours in our Upstairs Cocktail Bar and rooftop deck, The Bunker is certainly a unique Queenstown experience not to be missed. Loved our whole experience. Service impeccable. Terrific food from a globally- inspired chef. Marco was an outstanding server. Incredibly knowledgeable, and an absolute professional. The food was outstanding, and the wine pairings were perfect. 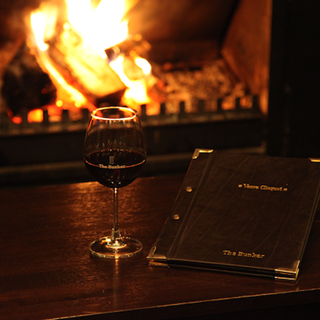 The Bunker is by far the best restaurant in Queenstown. Prices are comparable to a so called gastropub however the atmosphere and quality of food is miles ahead. The menu is excellent and in the 10 years of dinning there we have never had anything but amazing food and fantastic table service. I would happily recommend the bunker to anyone. All the food we tried was very creative and super tasty. Suggested wine worked perfectly with all dishes. 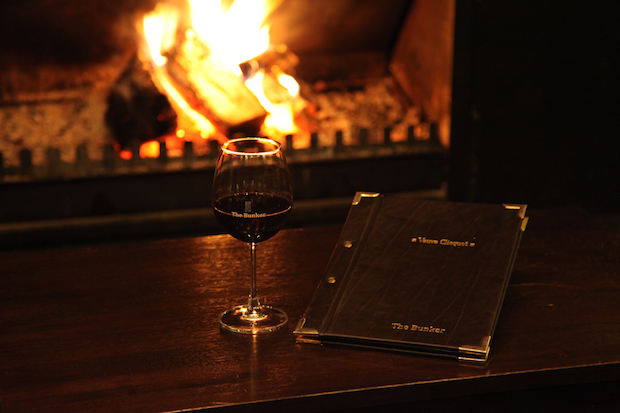 The fire adds that extra cozy feeling to the ambiance, making it a very relaxing dining experience. I will be recommending this to all that ask, and I thoroughly look forward to returning! Thanks again. I always try to eat here whenever I’m in Queenstown. It has a lovely intimate atmosphere, it is cosy and quiet so conversation with dining partners is possible. Fabulous fine dining with a rustic vibe. Waitstaff are exceptionally well informed and professional. A GREAT dining experience! It was an amazing experience. Marco Antonio was the waiters that serve me and my family, he was nice, pleased and attention. Said to be fine dining. The male waiters were arrogant, bordering on rude. Any fine dining chef should easily cater for a vegetarian, particularly when prewarned. The 2 venison medallions were small. The 2 thin Abalone pieces were the size of postage stamps. All fine dining establishments I know supply tasty breads before the meal and chocolates or biscuits at the end of the meal. The bottle from the glass of wine I ordered was not shown to me. Was not the great eating experience I expected. We had an amazing time it was great food and great service! Thanks so much! Stunning. Great food and ambiance. Well done!! What a great experience. The food was exciting, balanced, adventurous. We came on a recommendation from friends in Tauranga. I'm pleased we did. Beautiful food, wine and venue. There were three of us but we could only fit in one course each. They were all amazing. I would love to go back for their degustation option. It looked fantastic. This was one of the top three dinners during our two-week visit to New Zealand. The food, atmosphere and service all combined for a perfect evening. Very nice ambience, food was also excellent and of high quality. Will remember this dining experience for a long time. Fantastic night, lovely food, great service, a real treat.